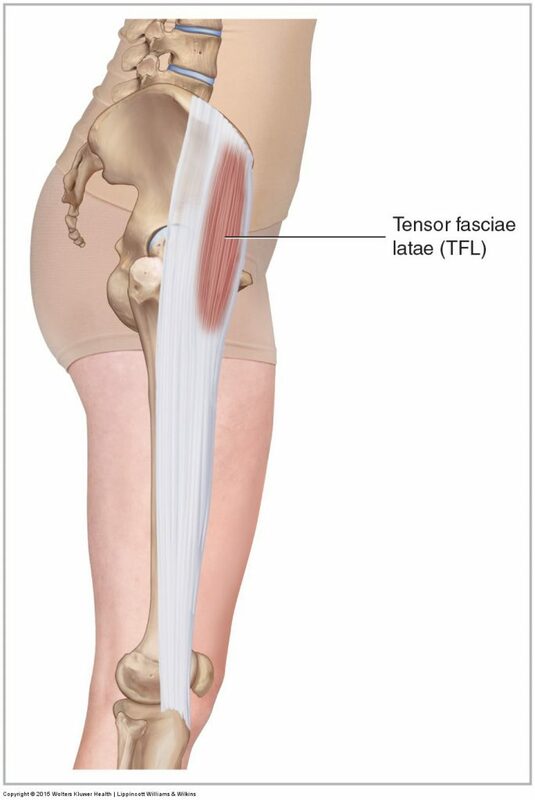 The tensor fasciae latae (TFL) attaches from the ASIS and anterior iliac crest to the iliotibial band (ITB), one-third of the way down the thigh. The TFL flexes, abducts, and medially rotates the thigh at the hip joint. It anteriorly tilts, depresses, and ipsilaterally rotates the same-side pelvis at the hip joint.